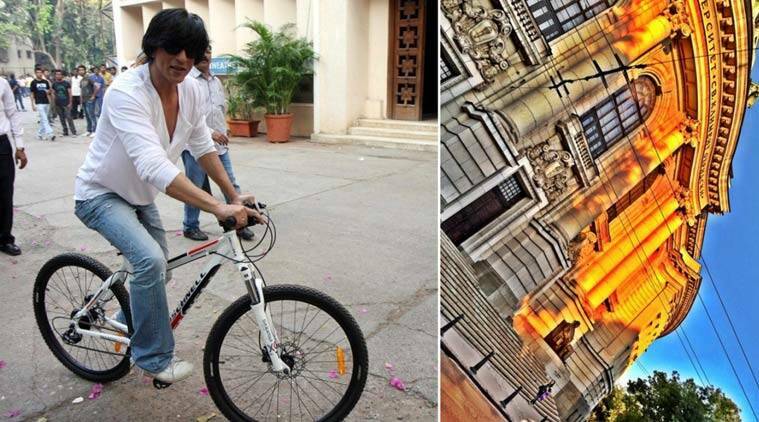 Earlier this month, Rohit Shetty had gifted Shah Rukh Khan a new bicycle to get his knee in shape. Bollywood superstar Shah Rukh Khan, who is currently busy shooting for Rohit Shetty’s “Dilwale” in Bulgaria, is planning to go cycling in the east European country. The 49-year-old took to micro-blogging website Twitter to share a photograph of the picturesque Bulgaria. He also mentioned about his plan to go cycling. “What a beautiful Bulgarian evening…I think I should go for a cycle ride,” he tweeted. Earlier this month Shetty had gifted the “Baazigar” actor a new bicycle to get his knee in shape. “Dilwale” also features Kajol, who would be seen after a long hiatus, Varun Dhawan and one-film-old actress Kriti Sanon. The film is set to release on December 18.